Promoting children’s physical and mental health in the middle years lays the foundation for a healthy life. Children benefit from guidance and opportunities that support the development of healthy habits, which they can carry forward into adolescence and adulthood. Regular physical activity, quality sleep, and healthy, social meals are all critical factors for positive long-term health outcomes. Children thriving in this dimension are ready for the day each morning after getting the recommended ten hours of sleep at night. Their nutrition at breakfast and throughout the day enable positive behaviour choices and emotional control and improve memory. Eating meals with adult caregivers whenever possible, helps to support healthy food choices and provides the space to forge strong relationships with the adults in children’s lives. A strong protective asset during this time is eating meals together as a family. 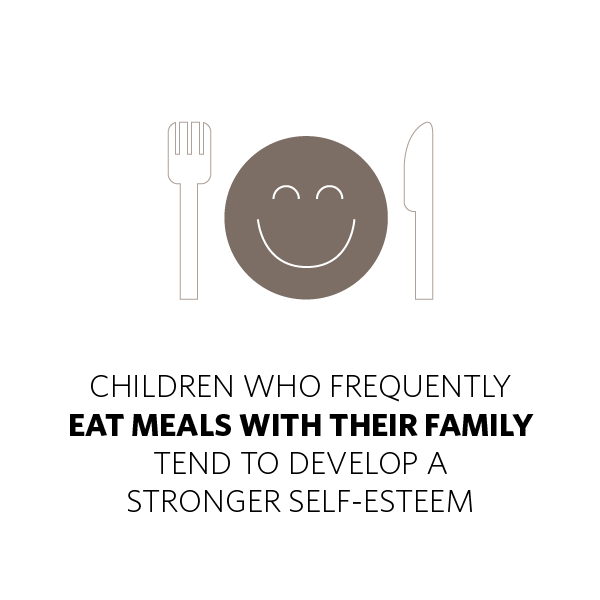 Research has shown that engaging in regular family meals is related to increased self-esteem, school success and is also linked to healthier food choices across the lifespan. Because of changes in the brain that take place around the time of puberty, children are actually more strongly attracted to junk foods that contain high amounts of fat and sugar than adults. Moreover, when given junk food options, children in middle childhood find it challenging to refuse. Although some children will experience obesity due to excess junk food consumption, others may not because of their physiological need for more calories during this time. Regardless of changes in weight, too much junk food affects cognitive function and memory. Children in the middle years who feel healthy are more likely to be engaged in school, have a feeling of connectedness with their teachers, perform better academically and are less likely to be bullied or bully others. This includes feeling positive about the way they look. It is a time in which children form lasting viewpoints about their bodies as they become increasingly self-aware and self-conscious, comparing themselves to others. In fact, a poor body image during this time forecasts later depression and eating disorders in both boys and girls. During middle childhood, Canadian research suggests that children need 9-11 hours of uninterrupted sleep every night. Children who do not get enough sleep are more likely to have troubles at school, be involved in family disagreements, and display symptoms of depression and anxiety. 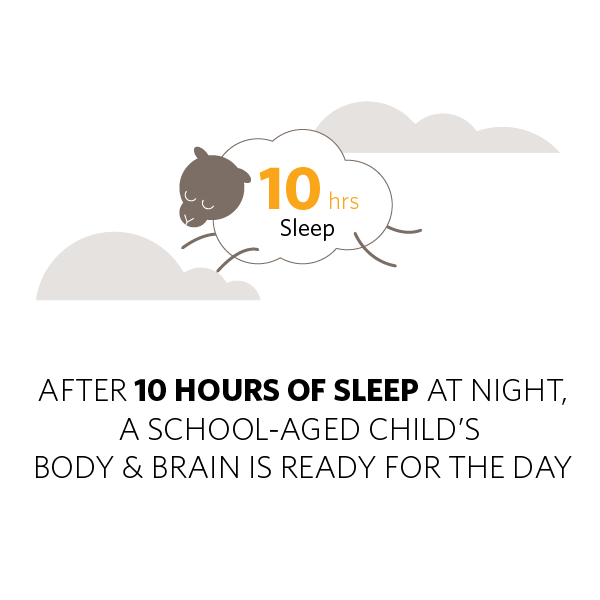 During middle childhood the brain is particularly sensitive to sleep quality because the brain’s memory and learning processes are developing during these periods.